« Neuroeconomics series part 5: How do we learn what we like? Nielsen Neuro Labs’ consumer neuroscience and neuro marketing team has some interesting developments for anyone in marketing wanting to get a better edit on their content. 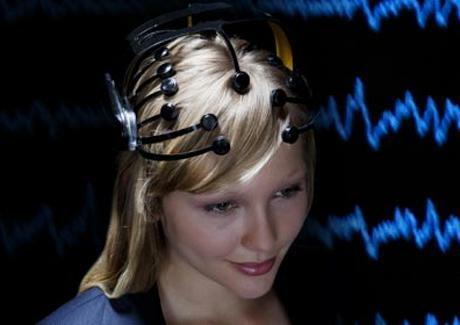 The Labs teams’ Fourier One headset is powered by electroencephalography (EEG) technology and is able to measure your audience’s neural responses to content via the brainwaves of your grey matter. This means that now you can edit out the ‘boring bits’, (as captured by your yawning consumer’s alpha waves), and show the most effective area to put your call to action for maximum recall using eye-tracking technology. This is the way to do “surgical content” says by Nielsen Neuro Labs president Joe Willke, and is certainly a groundbreaking development for achieving optimised brand experiences in emotion, memory and attention for digital and TV content. This could revolutionise your marketing in product packing, in-store comms, and more. Find more information about Nielsen Neuro Labs here.